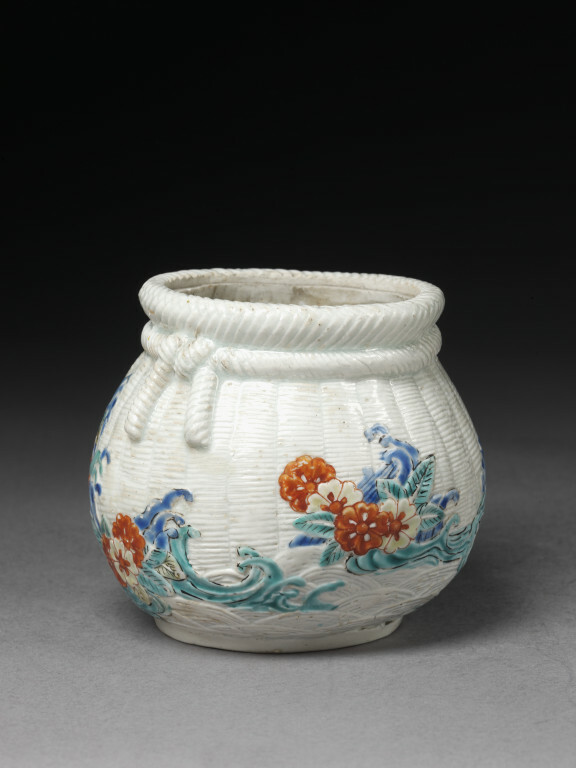 Jar of porcelain, imitating a bamboo basket, globular with broad base and wide mouth. Below the lip, which is slightly splayed, and grooved inside to take a cover (now missing), is modelled and carved a 'rope' tied in a knot at one side; and the body surface is also carved to represent basket-work. 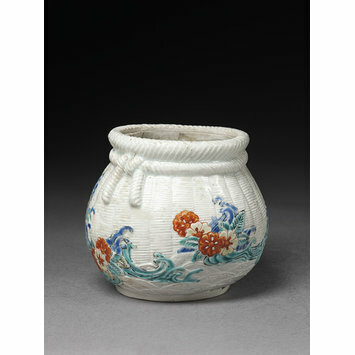 Also carved round the body is a design of flowers floating on the waves, coloured in turquoise, blue, yellow and red enamels. The foot is shallow and unglazed.